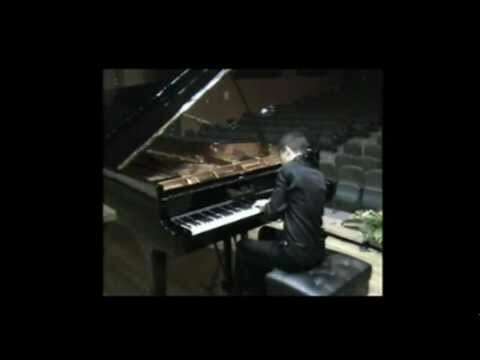 No recording, no matter how perfect, can do a justice to this sonata. The sheer power and strength of this enormous stream of sound, Amazon river of piano writing, doesn't translate well into limited bandwidth of even the most hi-def capturing. It's best left to concert halls. I hope those of you who have a chance will visit Dortmund in a couple of weeks , April 17th to be exact : http://tinyurl.com/7enmzou There is lots of Scriabin, more Rach and some Liszt...but this piece is a true centerpiece of a program. And this it the only occasion for me to play it live this year. So, grab your chance :-) lol Few words about the piece- being Op 28 , it has far more famous and popular pieces for its neighbors: 2nd Symphony, Third Concerto, Cello Sonata...Since no Hollywood movie ever borrowed either a melody or a plot fro this piece, it remains largely as unknown and unappreciated as it was when "born". Rachmaninoff, being extremely insecure about himself and his art, asked for an opinion of several friends. Of course, being real friends ( lol) they didn't pass a chance to say that the piece is too long, too boring and too difficult. Rachmaninoff subjected it to several bodily mutilations- again, acting on "helpful" friends' suggestions, cutting out good 10 minutes = 25% of the original piece. He later said about inflicting similar cuts in 2nd Symphony that he feels like he is cutting his own live flesh... One of those friends, Konstantin Igumnov, delivered the debut performance of the mutilated piece, which was - again- declared too long. Just maybe, maybe , perhaps , there was a tiniest guilt of the performer ? Igumnov was known and widely respected as a "miniaturist" - playing with a finesse, utmost polish and a detailing of a jeweler . Whereas this piece requires an architect as the very minimal qualification , better yet, a demi-god giant :-) ...After a failure and much criticism, Rachmaninoff largely abandoned this baby as a hopeless case. I think it deserves a better fate. Don't you? Here is sheet music in case you want t give it a try: http://tinyurl.com/78vx9c7 There WAS a program in this piece, Rachmaninoff shared it with a few people and decided against making it publicly known. It has to do with Goethe's Faust. Three movements ( just like in Liszt's Faust Symphony ) represent Faust, Gretchen( Margarete), and Mephistopheles. 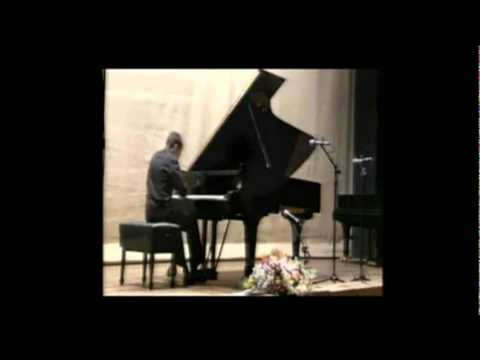 Rachmaninoff 1st Piano Sonata Op 28 No 1 Part 1 - Ido Zeev.